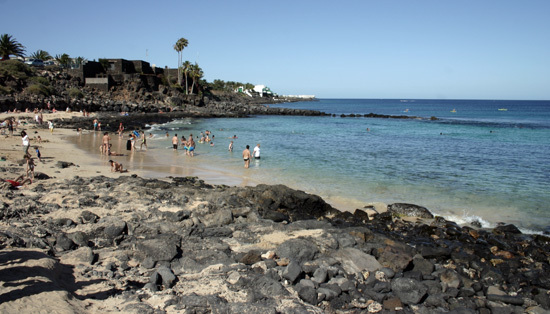 The bay of El Ancla Beach is also known as the Kings’ Beach due to its proximity to the Kings’ residence. This property was given as a gift to the King of Spain from King Hussein of Jordan and is now known as a national world heritage. 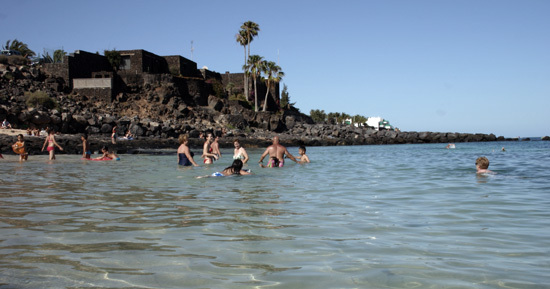 El Ancla Beach is located at the entrance of Costa Teguise when coming from Arrecife. 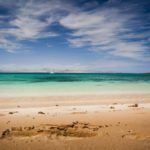 Its main downfall comes from the fact that it is fairly short in length and that it is frequently visited by residents on the island. In the early hours of the day it is the perfect location. The few people that you meet at this time are taking the opportunity to walk along the admirable seas shore. By midday the bay is busy, however the beaches natural stoned pier allows those to stop and relax in a more spacious environment. Its calm waters are of amazing bright colours. Just by taking a glance you won’t be able to resist! 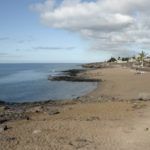 The wind is a faithful friend of the life in Costa Teguise however, does not have any knock on effect to this wonderful bay. 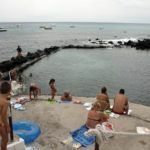 El Ancla Beach is accessed via steps. Within the entrance surroundings there are plenty of parking spaces. The beach doesn’t have to much sand actually. 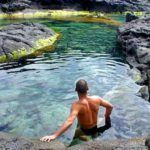 You will find a lot of the so typical black lava rocks where you can relax perfectly. 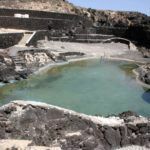 Small bay of 75 metres at the entrance of Costa Teguise. 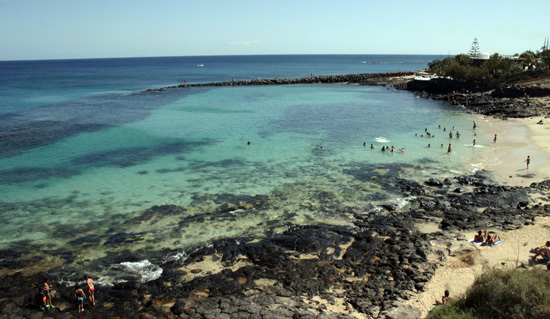 Clean beach, sheltered and in good condition. How to get there: By foot along the promenade. By car you will find parking right along the beach. In summer it might be quite full. 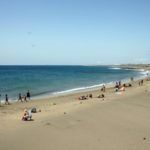 Just a stone’s throw away from this bay and you will come across the promenade of Playa Bastián. Here there is a magnificent terrace called Villa Toledo where you can order something of the menu.